202 Eat Well offers simple to upscale options of spectacular food to serve at any occasion. Providing events that friends and family will enjoy and remember with food they’ll never stop raving about. Catering corporate events to make the perfect impression on your clients and co-workers. Providing spectacular dishes, signature customer service and innovative cuisine. Your business is important and making the perfect impression among your clients and co-workers is always a desired goal. Our staff's experience will provide you with confidence in the planning process and the ultimate success of your event. Weddings are such an exciting time in a person's life, and one of the most important events you will ever plan for. Let us travel the journey with you to help make your wedding day exceptional, stress free and above all, memorable. There are so many occasions to celebrate in life and we consider ourselves fortunate to be allowed to be a part of many of these. Whether hosting a cocktail party or a bar mitzvah, a graduation, or a family gathering, 202 Eat Well provides multiple options. 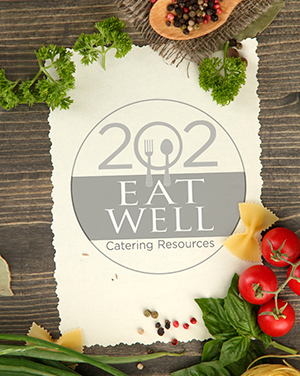 202 Eat Well Catering Resources provides Washington DC with the signature customer service and innovative cuisine they should expect for their special event. 202 provides all food and beverage services, rental coordination, floor plan and timeline creation, and streamlined advice on all event logistics.